Located in the Caribbean Sea at the mouth of the marine entrance to city and capital, Santo Domingo, the port of the same name is an important logistic and geographic asset of the Dominican Republic. Although it is located in a small harbor, Port Santo Domingo faces a high annual volume of both imports and exports, and is increasing in accessibility due to recent renovation projects. Renovation projects include the installation of new infrastructure, modernization of the terminals, dredging works in the turning basin and approach channel, and a real estate development to attract tourists. 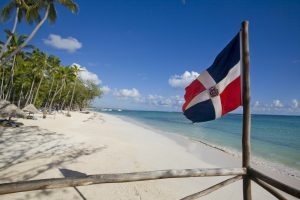 Port Santo Domingo in the Dominican Republic has features that allow for all types of international shipping services, including roll-on/roll-off (RoRo) transport and container shipping. Clients often transport automobiles and construction equipment, as well as personal effects. For more information about the port of Santo Domingo and international shipping services to the Dominican Republic, visit our rate request page to receive an international car, high heavy, construction equipment and container shipping quote or to receive more information on our international shipping services.